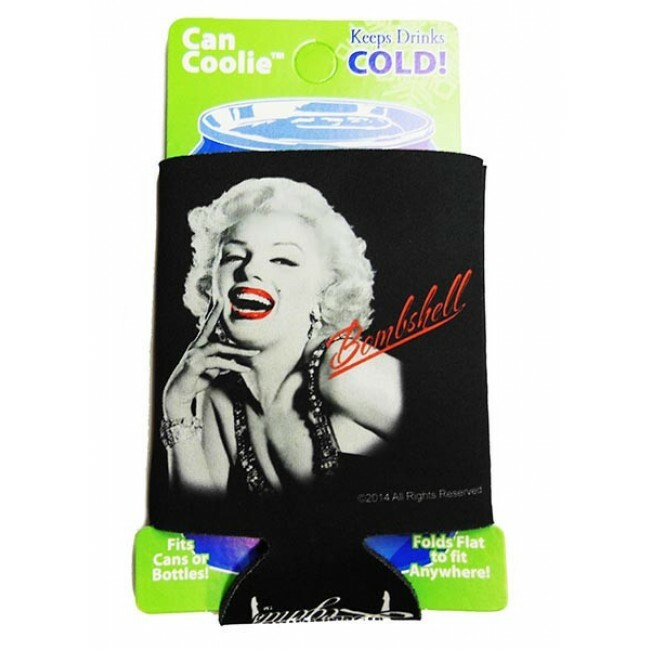 With this Marilyn Monroe Can Cooler Bombshell you can sip on your favorite cool drink or beer in style. This item is an officially licensed product, making it a collectible item that is functional. This can cooler is made from fabric that will help keep the drink cool for longer. Printed on the fabric is a red, black and white photograph of Marilyn. This nifty Marilyn Monroe Can Cooler Bombshell fits most standard sized cans and most bottles as well. We have on offer a variety of sleeves of the blonde bombshell. Be sure to check out the rest of our store to create a custom set.